Mental performance is a daily thing you need to do. If we’re going to make any change, we’ve got to develop habits and stay true to them on a consistent basis. 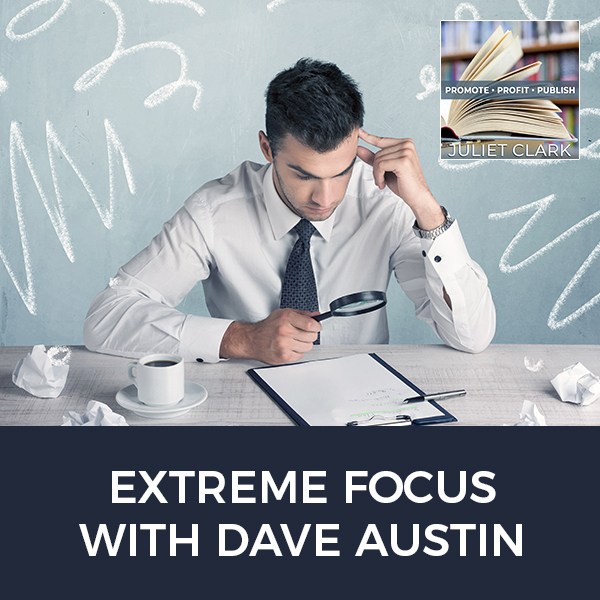 Dave Austin, founder of Extreme Focus, had gone through challenging moments consistently where he failed. He says you have to be willing to work through failure to get to where you’re going. Dave is a highly sought-after mental performance coach who has worked not only at the professional sports level but at every other level along the way, including being an athlete himself, from Little League to the Big Leagues, from U-sports, high school sports and all the way through college level and above. 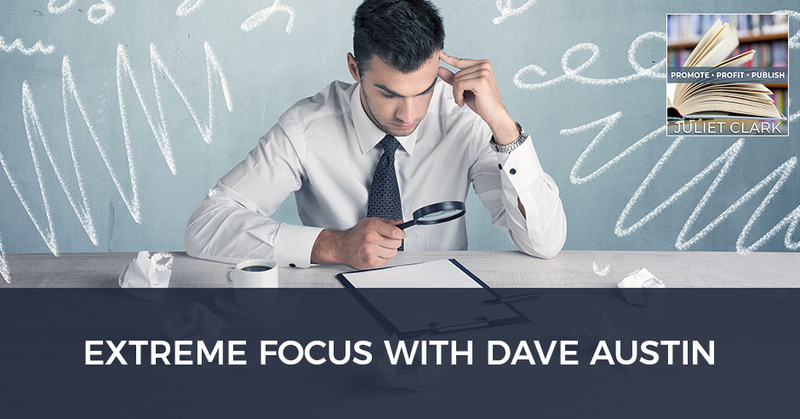 Dave shares what Extreme Focus is all about, and talks about mental performance, developing habits, and working through failures. I want to remind you to go over and take the Promote, Profit, Publish Quiz. It’s at www.PromoteProfitPublishQuiz.com. 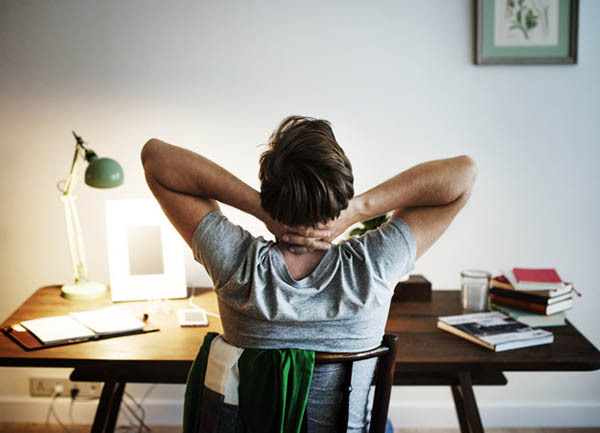 Take a look at where your visibility skills are at this time and if you have things that you need to learn and create to get what you want before you publish. My guest, I’m super excited about. I met Dave Austin at CEO Space, which if you guys aren’t part and a member there, you ought to look into it. It’s a great place. Dave had a book that I downloaded and it’s called Be A Beast. Dave was a former athlete. I thought when I downloaded this book that I was going to get a lot of athlete’s stuff. That’s not what it was at all. It was about the animal spirits and how to be focused and what they’re all about. Dave Austin brings out the best in his clients, many who are elite and professional athletes that you watch on TV every single day. He’s a highly sought-after mental performance coach who has worked not only at the professional sports level but at every other level along the way, including being an athlete himself from Little League to the Big Leagues, from U-sports, high school sports and all the way through college level and above. These principles not only work on the field but also go from the locker room to the boardroom, as his work translates exceptionally well for companies, entrepreneurs and sales team. If you’ve ever seen him speak, he speaks to entrepreneurs all the time, very focused and productive ways that he has to get out in the world and be focused. He’s a former professional athlete and a world-ranked tennis player himself. He knows how to fuel the fire during competition. He’s a multi-sport athlete having played football and baseball at the high school and college level. He surfed. 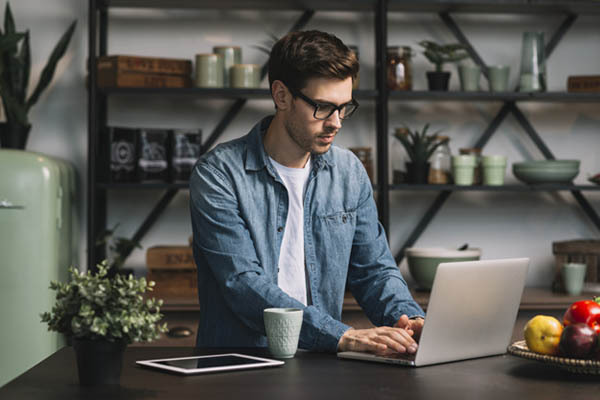 He’s not only a best-selling author, but he’s also developed the process, which is a unique method that he helps his clients play in the zone and stay there longer. Dave, welcome. You could tell us a little bit about who you’ve worked with but you worked with everybody. Thank you. I am passionate about life. Back in the early days of my life, my dad was a Navy Chaplain. We moved to Hawaii when I was in eighth grade. I got very passionate about surfing. I love all sports but then being out in the water and that. I was the original. Have you ever heard the term Big Wave Dave? That’s a term. I see Big Wave Dave coffee. I see Big Wave Dave Christmas trees. It’s something. I was the original Big Wave Dave and only friends back then know that. If someone comes and I see someone and you hear them go, “Big Wave, how you doing?” You know that they’d known me since way back then in college when I played tennis in college and all my friends called me Big Wave. Now, my kids call me Small Mush. The reason that I wanted to have you on the show was that we’re at the beginning of the year and this is where everybody makes those big, “I’m going to do this in 2019,” and then flutters out. Tell us about extreme focus and why it’s so necessary because you have to build your own platform as well. Mental Performance: Habits are within us. If we’re going to have any change, it’s something we’ve got to do on a consistent basis. Sometimes we write the books we need to read the most. We learned through that process. I’ve been blessed, I’ve had three books. My first book came out years ago. I can’t believe that. I never intended to necessarily be a writer, but I’m so blessed that I’ve done this. It’s been a journey all the way. Extreme Focus is interesting. We think of mental performance or the things that I deal with on a daily basis. It’s not about a phrase or a moment. Habits are within us. If we’re going to have any change, it’s something we’ve got to do on a consistent basis as much as I coach and as much as I do. I worked with the Pentagon, I worked with Navy Seals and Army Rangers too, not just businesses. Mental performance is a daily thing you need to do. It’s developing the habits by staying true to habits. I don’t care who you are. I know for myself maybe I might look like, “I’m successful because of this or that.” I’ve had to go through challenging moments consistently. I failed and you have to be willing to work through failure to get to where you’re going. I’ve had four Major League Baseball players become MVPs that were stuck in Minor League. They became MVPs in Major League Baseball and people go, “They had a gift.” No, they worked their gift. I believe that everyone has a gift but it’s a matter of daily practice and having a method to keep yourself bringing that gift even fuller and brighter. I know you do a lot of helping people and how platforms are so important. They are important. The thing that I’ve found is you can get almost lost, “Is it Instagram, Twitter, Facebook or YouTube? Where should I go?” You have so many people tell me this or that. You’ve got to find something that works for you to get started with and be focused on it. That’s what Extreme Focus is to say, “I’m going to take this and I’m going to develop this aspect.” Then you build upon it and then maybe you might expand or maybe you won’t. My notoriety has come more from the speaking world than any place else. I’m not a great marketer online but I have been focused on online marketing. I’ve seen a lot of people who have done a tremendous job. 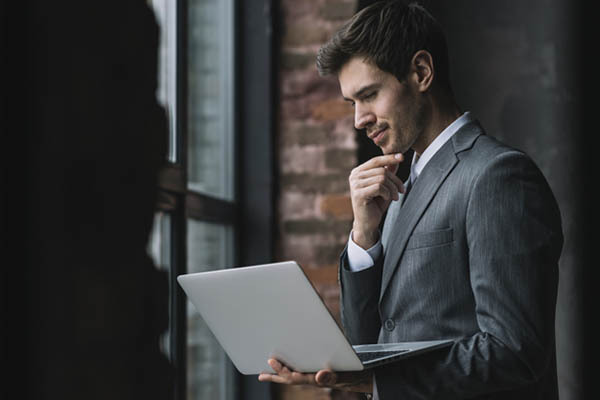 They’re out there very highly focused on their internet marketing and they’re successful because they’re focused on it. That’s not an era I have been. I’ve had over 500,000 books sold, the books that I’ve written. When you look at it, it’s significant but it’s been more like a quiet thing. There’s not any major program involved other than continually getting out there and speaking. You’re going to publish a book; I call it getting legs. You’ve got to get a significant amount of people to see what you’ve written. You also have to write from a standpoint of having something that people will say, “You should read this book or that,” then you pass on. Too many people rush into writing a book without taking the time to develop what it is. There are a lot of people who teach courses and say, “Get this book.” To me, that’s not a book. That’s one of the ways our companies morphed over the years as we started out publishing. We got very intentional about looking at books that people brought us and saying, “Why did you write this?” Most of the time they said because their programs and services weren’t selling. That’s not the time to write a book. That’s the time to get back there and find out who your audience is and what that disconnect is. I love that you said that. You gave me some advice. I want you to expound on it because it was amazing advice. I was making a list every day. I had my grateful list. I had the list of my goals and you said to me, “What are you going to be today? Write down three ways you’re going to be.” That was so amazing for me because then it wasn’t about shooting for the goals. It was about how I had to show up in the world? There were days that I would write those down and realized, “I do not feel like showing up today but I had to anyway.” Tell us why you do that as an exercise? That was a fabulous exercise. Goals are very important but we can get lost in our goals. How are we going to achieve our goals? It gets back to what you said, “Who do I need to be?” I say those three things are your intentions, “What are your intentions?” If I’m going to go deliver a talk to a group of people, I set my intentions. That’s more important than anything else, “What are my intentions?” I might have a goal that I want people to do this or that or whatever. What’s more important is who would I need to be? Part of that is I want to connect and my focus is on connection rather than, “I’m going to sell this.” The results take care of themselves if you get in-tuned. There’s a friend of mine who is remarkable. I use many sports analogy because I’ve been involved in sports so long. He was a remarkable guy. He was the MVP in the World Series for the Chicago Cubs when they won the World Series for the first time. Ben Zobrist is his name. He’s a remarkable baseball player. We all get caught up in the results that it takes us away from who we are as a person. Even after he won the MVP, he went into depression because he had met his goals but where do you go from here? 2017 was a challenging year. In 2018, he decided to focus more on what you talked about, the intentions on who you need to be and let the results take care of themselves. You still have goals but focus more in the enjoyment of being present in this moment. As a result, he was in the top ten of hitting. He had the best year in his life in Major League Baseball as far as results but he was more focused on that aspect of these three things. If you go, “I’ve got five things. I’ve got eight things,” let’s focus on these three. Anything else is a distraction. I found the only way that I can learn to be successful is if I narrowed it down. I get focused. On the home that I live in, I had to get extremely focused and not have any different things to distract me. There are a lot of shiny objects. When it becomes difficult, you go, “Maybe I’ll go that way, maybe I’ll go this way,” and you’re constantly chasing. I said, “This is what I plan to do. I’m not exactly sure how I’m going to do it but I have to be extremely focused to accomplish it.” Every day I had to ask, “Who do I need to be today?” There are parts of me that had to change to be able to step into this. It was a gradual step. That’s why I accomplished it because I allowed myself to go through the full journey of it. Tell us about that home. I’ve been to your home. It’s beautiful. I do remember meeting you in and you were living in the guest house. The home was the place in front where you were aiming for. You didn’t know. You shared it very transparently like, “I’m here, but I don’t know how I’m going to get in there.” Can you share a little bit about the journey you and your wife took to get there? Mental Performance: Focus more on your intention and on who you need to be, and let the results take care of themselves. It’s a level of commitment you made to what you want to accomplish. The thing is that we think, “We want this. This is what we want.” As we move towards it, we might get very uncomfortable. We come back to what we’re familiar with, the standard. For myself, I’ve learned to be comfortable being uncomfortable. We moved everything out here saying we don’t know how we’re going to do this. At the time even when we saw this home, it was so amazing. I said, “I can’t look at another home.” We’re looking at a lot of different homes. There are a lot of different directions for us to go. I told the realtor, “I don’t know how I’m going to do it.” I don’t hold back things because I’m straightforward. I said, “I only know how to do things through extreme focus and I need to be focused on this. Do not show me another home.” We moved everything out here. Who does that? If you look at us you might say, “You’re crazy.” We have a two-bedroom cabin on the property that’s amazing. We also have a guest house but we’ve got the larger house. I had this vision that this is where I wanted to do my leadership training. I’ve got a movie theater in the house. I’ve got eight guest bedrooms. I’ve got the two-bedroom cabin. It can be overwhelming but I just kept it simple. “What are the little things I can do today? What’s one step that I can do today?” It took a deep level of commitment and whatever I had I put into it. As far as money into it and you could say financial advisor by saying, “You’re crazy.” The only thing I know how to do things is crazy good. I believe in it. If I look back to some of the things that I have accomplished in life, I was given the Presidential Merit Award from the Grammys. I have never owned that because sometimes I think, “If I got it, it can’t be that important.” What I did was very significant. I looked back and I used the same thing there. We did things that had never been done in the music industry before ever. It created amazing things like Live Aid, We Are the World and Hands Across America because we proved the model that no one said could be done. It was risky but we’re focused in seeing that happen. Having that as a background, having my own son who was given no chance of survival, I kept being reminded that miracles can take place if you live into your miracles. Not be so restrictive on what it is supposed to be, but I was very focused. The mission was to move into the home. It was the only way it could happen. There were scary moments and crazy moments. Fortunately for me, I have a wife that we’re committed together on. There were times where I was weak. There were times that she was weak but we kept together and that carried us through to where we have everything that we vision. I do visualizations. I see it on a constant basis because otherwise, my subconscious mind will not be familiar with it. It wouldn’t allow me to accomplish it because it would get too freaked out. If I see it enough, I feel it enough, it supports me rather than distracts me from achieving it. You and I talked a little bit before about having to be specific about the intentions. Something happened where I had been intentionally trying to manifest something and then it came to me and I was like, “No, that’s not what I wanted.” It didn’t come in the form that I wanted it. Can you talk a little bit about that? That’s what you help people do, is set those intentions and manifest. I have a belief that there’s a supreme being whatever you want to call it, Universe, for me it’s God. Whatever you want to call it, the bigger you. There is something greater than what we limit ourselves to that’s available to us. Martin Luther King said, “Faith is when you take the first step of the staircase when you can’t see the whole staircase.” As I take one step, it leads me to another step and my vision becomes more open. I can see things clearly. Because of that faith, sometimes I might be like, “This is what I’m going after,” but then it looks different. You go, “That’s not what I saw,” but if I stay true to the faith rather than reject the faith and go, “I must have been crazy,” I then keep moving forward and going, “This is something better.” I allow that something better to show up even though I don’t see it better at the moment. I might go, “What was I thinking?” I turn it over. I call it a surrender. It’s something better than me, something greater than me. Any great accomplishment that I’ve been able and blessed to do has been something that’s come through me that’s better than me. Even when it looks like, “What in the world is going on?” I trust that what in the world is going on because I believe it so thoroughly is better than I could even imagine. Even at this moment, it doesn’t look like that. I worked through it and then I find the gift. I might find the gift in 24 hours. It might take me a year to find the gift, but I’d stay true to it and the gift always shows up. I go, “If that hadn’t happened, then this wouldn’t have happened and then this wouldn’t have happened.” That’s where a lot of people get stuck in. That’s where we talked about going after shiny objects. If we think of something, we get in that creative and our mind goes, “I want to bring this forth.” It looks good. We get so excited. In any thought or creation, there’s going to be the border that brings it into the physical existence. You get all excited and as you start getting into it, you hit the border. That’s where people tend to go, “This is a little tougher than I thought.” They look to the right and see something, “That looks easier.” They keep everything below the border. If you stay true to this mission, you keep asking every day and keep getting guidance every day, you’re able to come through that border. All of a sudden, it comes into the physical existence. It can be the same as you envisioned or a little bit different but hold true to that vision. It goes back to again, “Who do I need to be today?” Keep asking that question. The reason that I keep doing that every week, “What are three intentions this week because I got to stay in the present? Whatever happened last week is done. Who do I need to be today?” My biggest gift to myself is to expand and learn more each and every day. Even though I’ve had a degree of success and I’m considered a top mental performance coach, I’m only touching the tip of the iceberg. There’s always something new that I can expand on and learn. One of the biggest joys in life is to be able to keep expanding, keep learning and bring more value than I brought yesterday. I work with so many people who are experts and they’re always afraid. They’re a little bit miserly about giving away their best content. It’s like, “If you’re the professional or expert, this is going to be old news next week if you continue to grow, so give it away.” They’re going to need your new stuff too. I love that. Keep growing and growing every day. Mental Performance: Don’t look at anything, don’t do anything. Get quiet and allow yourself to receive. When you think, “I can’t give this away,” that’s shortsighted. You’re not living in an abundant world. I’ve learned so much that if I give all the best stuff away, the truth is if they stay in it, they might decide later on to buy the program that I have already given. I go, “Why would they buy it? I’ve already given it away to them.” I do these game readies every Monday, which is a form of what I do for high-paying clients. The truth is even the Beast training; you can go through it. Every time you go through it, you learn something new. That’s the aspect, you can change with the same material. Think of some good book, you read this book. I’ve done this where I go, “This is incredible.” Maybe something sparks me down the road to read it again. I’m seeing things I never saw. The words have not changed, I’ve changed. Even though you’re going to expand and keep growing and have new stuff, even the stuff you already have, if people allow themselves, you can’t give them enough of it. You’re going to expand even more. We have a saying in the Beast Training, “Get there fast by going slow.” It means you speed up everything by taking your time. In the morning, I take the time to get grounded rather than letting the day start me. I start the day. I don’t take phone calls. I don’t take emails. I don’t look at anything until I’m in a place that I’m ready to take it off. Instead of reacting to my conditions, I create my conditions. Even though the conditions are something that might look challenging, I’m in a place of strength to see and look for the gift within it. I don’t care much I talk about this. If I don’t practice it, you’re going to go, “Dave, what in the world were you thinking?” I probably allowed myself to get caught up and I didn’t allow myself to get that solid foundational piece. One of my clients has a saying about, “Are you going to watch the fire or are you going to be the fire?” That’s what you were saying too. Are you going to react? Do you have a morning practice? I find that most people who are mindset coaches have a good morning practice that you engage in. I do but I don’t do it every day. I’m better when I do it every day. That’s discipline. There are a lot of things I do every day. When you saw me speak at CEO Space, I did something called The Process. That process is a game-changer in my life. I wish I could say I do it every single day but I don’t. I go through elements of that process every day. The one point that I said that I do every day, that is the truth. That is the foundational piece. Don’t look at anything, don’t do anything, get quiet and allow yourself to receive. I also then walk in the woods here. Emerson said, “If you want truism, take a walk in the woods.” I had found this brilliance connecting to nature. Sometimes they’ll say, “I’m too busy.” My greatest advancements come from slowing down and taking the time to do it. Here I’m telling you and I preach it so well but do I live it as well? Almost, there’s always a degree. The other thing is not to beat myself up. Integrity is such a big word. Your words are words and all that. For me, I live it, I breathe it but I’m not perfect. What works there is the awareness. When we can look back at the end of the day and say, “What happened today? What am I grateful for? Look how that went because I didn’t do my morning practice so I better do it tomorrow morning.” I find that a lot. By the way for those thinking about, “Where in the world does Dave walk in the woods?” It’s Utah. I love the woods here. I can go out my back door and go 50 miles in the mountains running. Isn’t it amazing? It’s mind-boggling. I never thought I could leave Southern California. I love Southern California but I did my process, I always do my thing at the ocean. That brought me to where I am today. The fact that we live in Utah, which is away from the ocean, I thought I could never do it. The mountains and the woods here are so inspiring. In fact, someone said, “Why did you move here?” I said, “We should be able to hear God’s voice anywhere. There seems to be a better speaker system here.” My writing and stuff have blossomed. It doesn’t mean that I don’t still love Southern California and I love going back. I have learned to love being here. I went skiing because I could. I’m being on the mountain and it’s so exhilarating. I live in awe of the beauty of it all. When it’s not ski season, the autumn to go back in the canyons, walk and see the colors, I go, “This is incredible.” It opened my eyes to living in that appreciated state. If you appreciate something, it goes up in value. If you don’t, it goes down in value. I want to bring appreciation every single day and bring my life to be more meaningful and more valuable. I’ll give you a little tip, simple to do. That which is easy to do is easy not to do. What you feed, your mind will grow. What you starve will die. What do you want to feed it? A little practice at the end of the day as you go to bed, write three wins of the day. Sometimes we maybe had a challenging day but if we keep our mind focused on our wins, it’s not like we’re stuffing the challenge but we’re putting ourselves into another energy level where things happened. You end the day with writing three things, three wins. You reflect upon, “Today, I did this.” Your mind is starting to focus more on your advancement rather than your setbacks. Where can we find you, your books and when is your next program or event coming up that people can look into? ExtremeFocus.com is the name of my webpage. 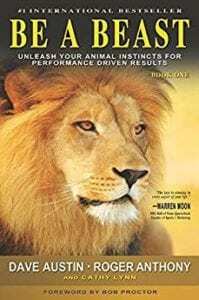 The Be A Beast book is available. If you go to BeABeastBook.com, you can go directly to it. You can find it on the Extreme Focus webpage too and click, it takes you to Amazon. I’ve written three books. The number of sales that I’ve been blessed to have in books. The biggest seller is a book I never planned to write. My agent said, “You’re the perfect person.” I’m not the perfect person. We had this big argument and then I went, “What did you say the advancement was?” I went, “Let me think about this.” I called a dear friend of mine and said, “Would you like to co-write this with me? You’re so perfect for this but I’ve got the gig.” It’s Song Writing for Dummies, which has sold 500,000 copies around the world. I Googled it a little while back. It’s the third most successful book in songwriting ever written, which is crazy to think. It wasn’t even something I had planned but it came out on my first book called The Unfinished Cross: Listen to the Voice Within. That book, which you probably don’t even know about, I don’t talk about it much because it’s a deeply spiritual book. My fourth son was given no chance of survival. It was medically impossible to come into this world. Because of my experience of getting quiet and listening, I would write what I would hear. He’s twenty years old now and medically it was impossible. I wrote that first book, never intending to be an author but how did it get out there? I had to go out and speak. That’s what I knew how to do. I want to cross the country and I committed myself to that. That was many years ago, that was before you had all the online things. I committed myself to go out and do this message. As it turned out, Hollywood made a TV special out of it. It was a powerful message but I backed away a little bit from it. That’s why you’ve never heard of it is because I was doing the US Olympic Team. We’re going to the World Cup and the coach comes up and goes, “I love your book but don’t tell anybody about it.” It’s a deeply spiritual book. I started working with big companies, the CEO Space knows that I download everything I do. I’ve got a little shallow for a while, I got a little uptight. I’m opening up going, “That is the greatest gift.” The Be A Beast book, the elements there that is more accepting across all channels would have never happened if The Unfinished Cross didn’t come first. I align myself to speak about it and it’s having a new life of its own. It goes back to what you do. That book became a bestseller because I was out working it. I got bashful about it because not everyone accepted the book. It’s taking all the fear out of the Bible and showing nothing but love and positive message that came through my experience. I backed away and I hid the book. The moment I stopped promoting the book, it was gone. It’s amazing. It became a bestseller only because I was actively doing something. It’s not that I’m going to get that active about that book again but it’s coming back. People are coming to me; they’re finding the book. I’m braver now than it was back then. I see the connection even with the Be A Beast and The Unfinished Cross how connected they are. One’s a deeply spiritual book. The other one is a mindset that people read because of the Olympics, NFL things and Major League Baseball, Army, Navy or mindset they’ll accept it. The truth of it is it all is divinely guided. I’m willing to say that because it is. When people think I’m woo-woo by saying that, think what you think, call it whatever you want to call it. It’s my truth. Dave, thank you so much for sharing all of this. It’s going to be helpful for people who are going, “Where’s my inspiration, God? I started out so well.” This will be helpful and I appreciate you coming on. Thank you. Let me say one last thing. We do get so fired up on January and February and then where does it go? Goal setting is very important. Some people don’t set goals. Set goals, but go back to what we said about who you need to be. Timelines are important. If I had a vision of the house I live in now, fifteen, twenty years ago, if I’d ever stopped the vision because, “I didn’t achieve it,” I wouldn’t be here now. Give yourself some grace. I had one client that said, “We had a goal to meet this number. We didn’t even come close.” Because they had that goal, they shifted into being something better than they ever were. That goal is much more attainable. If you look back in 2018, “I didn’t choose this. I’m not going to set anything.” Set it but keep the mission going. It took me years or I don’t know how long it’s been that I had this vision of where I live now. I didn’t know it was going to be huge. I’ll be honest with you. DAVE AUSTIN brings out the best in his clients, many of which are the elite and professional athletes you watch on TV every day. He is a highly sought after “mental performance coach” who has worked not only at the professional sports level, but also at every other level along the way. From “little league to the big leagues” – from youth sports, to high school, and all the way through to the college level and above. These principles not only work on the field, but also go “from the locker room to the boardroom,” as his work translates exceptionally well for companies, entrepreneurs, and sales teams. His methods are focused and productive, and his results speak for themselves. Being a former professional athlete and world-ranked tennis player himself, he knows how to fuel the fire during competition. He is a multi-sport athlete having played football and baseball at the high school and college level, and who also surfed in the Makaha International Championship in Hawaii when he was just 15. 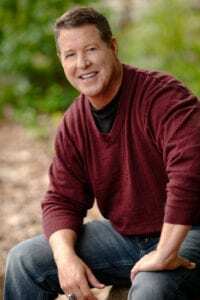 Dave is not only an international best-selling author, he has developed “The Process” which is a unique method that helps his clients play “in the zone” and stay there longer. His trademark “game ready” visualizations have helped many NFL, MLB, Olympic, and college athletes allow their true talents to rise up and shine. Dave has not only worked with professional teams such as the LA Dodgers, Texas Rangers, a U.S. Olympic team, the United Football League, he has also worked with teams beginning with organized youth sports, and onto the high school and D1 college level as well. Dave is truly passionate about training his athletes to “think less” and allow their minds to play at the highest levels imaginable. He is the secret weapon when it comes to a competitive edge.